Lychee trees (Litchi chinensis) bring special interest to your home landscape, both with their ornamental beauty and their production of edible fruit. With a typical height and spread of around 30 feet, spring fruiting and yellow flowers and bronze-hued leaves, this tree is a showstopper. However, ensuring that your lychee tree performs up to its potential means providing it the special care it needs for healthy development. Providing trees with special care is effective only if the plant is already growing in optimal conditions. Lychee trees grow best in areas of the home garden that offer full sunlight, which is particularly significant for healthy flowering and fruit growth. These evergreens thrive in most soil types, provided that soil is moist and well-drained. The ideal pH range is 5.0 to 7.5, as alkalinity may result in an iron deficiency. Lychee trees grow most successfully in U.S. Department of Agriculture plant hardiness zones 10a through 11. Lychee trees are water lovers and should be irrigated regularly. However, avoid creating waterlogged conditions, which may result in diminished health or root rot. Irrigation for this shallow-rooted tree should occur when soil feels dry to the touch. However, ceasing watering approximately six weeks prior to flowering helps promote fruiting, according to the University of California Cooperative Extension. 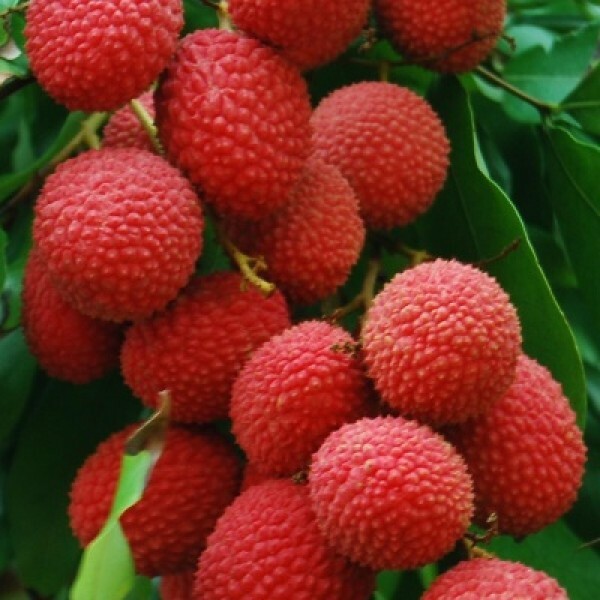 To maintain the high fertility lychees need, fertilizer, such as 10-5-20, should be applied after harvest. An additional application is suitable after fruit set, suggests the University of Hawaii at Manoa. While lychee trees are resistant to most diseases, they may fall victim to pests, such as aphids, during flush growth. Citrus aphids (Toxoptera aurantii) attack foliage, sucking out plant tissue fluid, which leads to leaf curl. These pests display tiny, black, oval bodies measuring approximately 1/25 to 1/12 inch in length. Aphids also secrete a sticky, sweet substance called honeydew, which oozes onto plant parts and the ground below. Where honeydew lands, a black fungal disease called sooty mold develops. Sooty mold may block out sunlight when it covers plant parts. In addition, citrus aphids have the potential to transmit viral disease to plants. To control these pests, the release of natural enemies, such as syrphid predators and parasitic wasps, provides effective control. Though damage is unsightly, control is rarely necessary. In severe cases, however, applications of insecticidal oil offer management when applied as soon as symptoms occur.